This raw (unburnt) dark umber has a characteristic red-brown color. 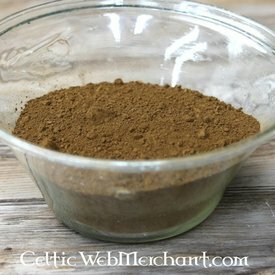 This umber is extracted in the Mediterranean areas and was used as a pigment since the Neolithic period. Umbers such as these were also very popular in Classical Antiquity.